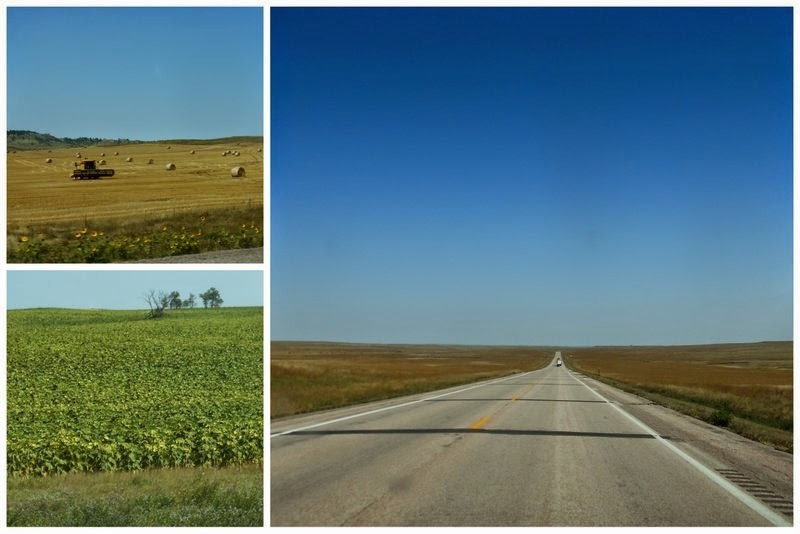 Our drive from Spearfish to North Dakota was a virtual straight shot on Highway 85. Wide open spaces interspersed with hay fields being harvested surrounded us. I had hoped to see a few fields of sunflowers for which North Dakota is famous and was rewarded with several. Our destination for the next three nights was Theodore Roosevelt National Park. We stopped at the Painted Canyon visitor center, which is actually a rest stop on I-94, and gazed at the magnificent, panoramic views of the colorful badlands for which the park is known. Our original plan was to stay at the campground in the park, but we decided against it when we looked at the weather forecast. Although the day of our arrival on September 8 was lovely, that was not to last. Rainy days and nights with near-freezing temperatures were predicted for the next two nights, and there are no hookups in the park campground. We decided that electrical hookups that would allow us to run our heater without worrying about our battery life was our top priority, so we checked into a private campground in the town of Medora. This turned out to be a wise decision. We drove into the park the afternoon we arrived, but it was getting late and we were tired, so we didn’t go far. 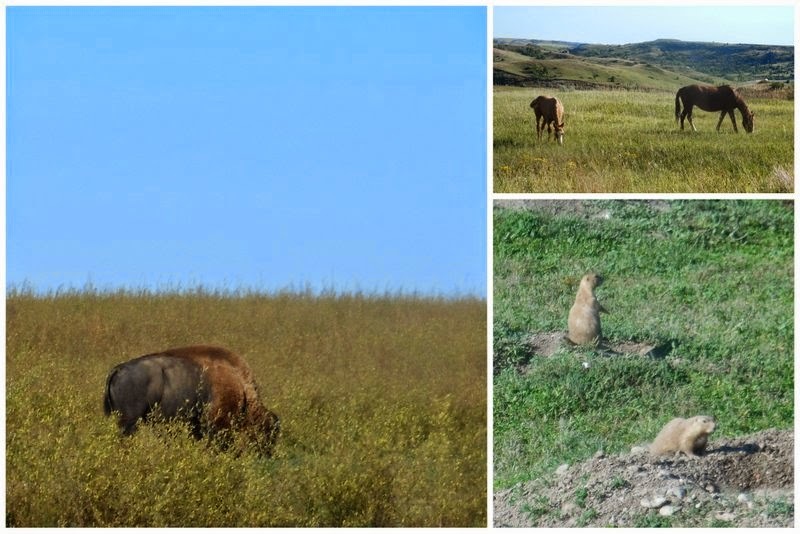 We lucked out, however, and were treated to sightings of the major wildlife in the park, including a lone bison, a herd of wild horses and a town of ridiculously cute prairie dogs. It was nice to be back in a national park once more.